Since she retired in 2010, economist Meliha Bičo Družić from Zenica, Bosnia and Herzegovina, has received a minimum pension of 326 Bosnian marks (166 Euros) a month. The amount is well below what she needs to cover even basic living expenses, so Meliha has to think of different ways to increase her home budget. One of them is to sell painted umbrellas, which she offers to potential customers via her Facebook profile. 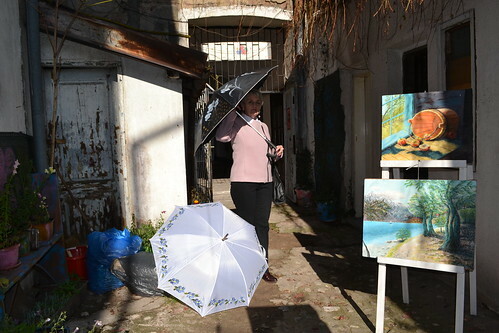 She buys cheap one-colour umbrellas, decorates them with waterproof paint and transforms them into attractive accessories which she easily sells for 20 euros. “Every time it’s about to rain, I post photos of my umbrellas on Facebook to boost sales,” says 62-year-old Meliha who came up with the idea when she had to repair her umbrella which got broken as she tried to defend herself from stray dogs which were attacking her in the street. According to her calculations, she has earned the equivalent of four of her pensions so far this year. “It makes me happy to be creative and make art. And it helps to pay the bills,” Meliha adds. 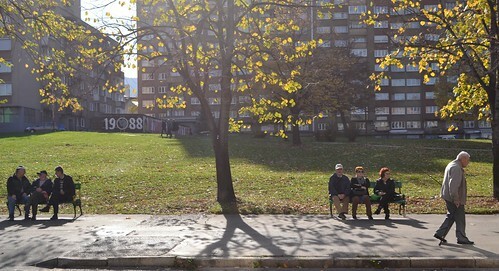 Many pensioners in the Federation of Bosnia and Herzegovina live on the edge of poverty. Out of around 410,000 pensioners in the Federation, one of two political entities which make up the country of Bosnia and Herzegovina, about two-thirds live on minimum payments of 166 euros a month, while the average pension amounts to 184 euros. On 25 October, thousands of them gathered in front of the government buildings in Sarajevo to protest, calling for a rise in pensions and better social and health care. Both Mirsad and Meliha show off their works in a small art gallery run by the “Naš most” association (“Our Bridge” in English). 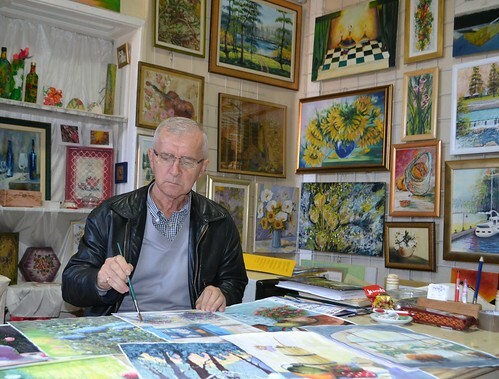 The gallery displays paintings of local retired amateur artists and is one of several places in Zenica where cultural events and art workshops take place. “The things that we are doing here allow us to escape from this awful reality of the Balkans,” says Mirsad. It is, however, getting more and more difficult to keep the gallery going, since local governments do not support their work and the association’s members have to pay its expenses. 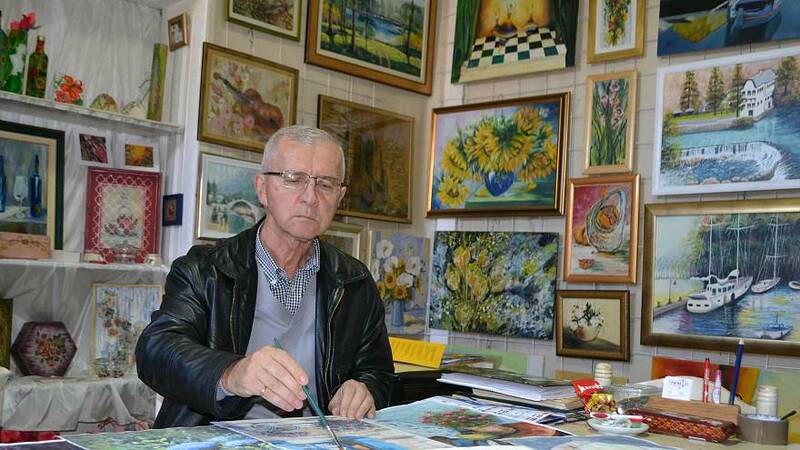 Besides showing no interest in culture and art, Bosnian authorities rarely provide services free of charge for elderly people, who often feel abandoned by society. 67-year-old Zdena Šarić, who does not get a state pension due to a bureaucratic omission, is one of them. Constant financial problems made her depressed and isolated, but as she started to share on social media photos of old pieces of furniture that she has restored for the past four years, she began making money out of it and made new friends among clients and design lovers. Her curiosity for applied art led her to educate herself about different restoration techniques on the internet and she now passionately collects abandoned chairs, tables, cabinets and household objects – and recycles them into new designs. 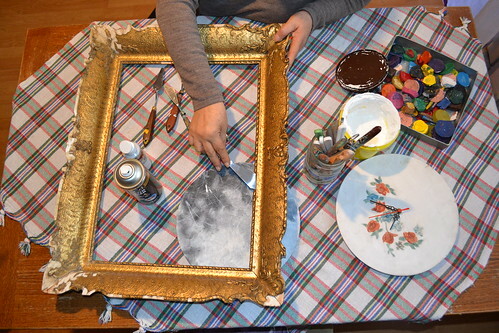 Even though she sometimes has to follow customers’ requests when restoring a piece of furniture, Zdena’s creativity is well appreciated by her buyers and Facebook followers. “I enjoy giving old, used objects a new purpose and a new life. In a way, I feel like an old object with a new life myself,” she says, adding that art is her source of happiness and a fuel for life. Hoping to be entitled to retirement benefits soon, Zdena is happy that her sight and her hands are still in good enough shape so that she can work. “I don’t know what I would do if I didn’t do this. And I don’t know how I would survive,” she adds.